The Huntington Study Group’s annual meeting, brings together a network of world leaders in Huntington disease (HD) research and care. Sponsoring the meeting offers substantial partnership, recognition, and participation opportunities. 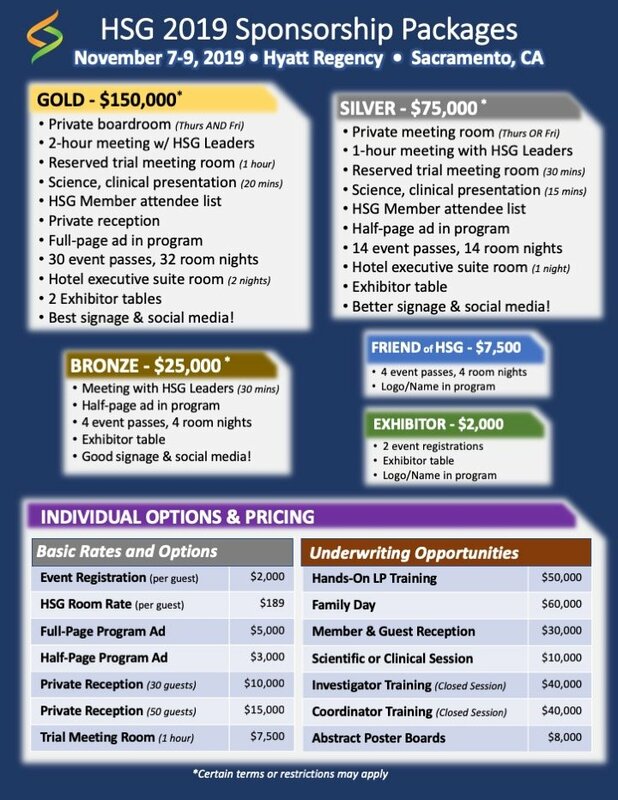 HSG has put together an exciting new menu of sponsorship opportunities for the 2019 meeting! 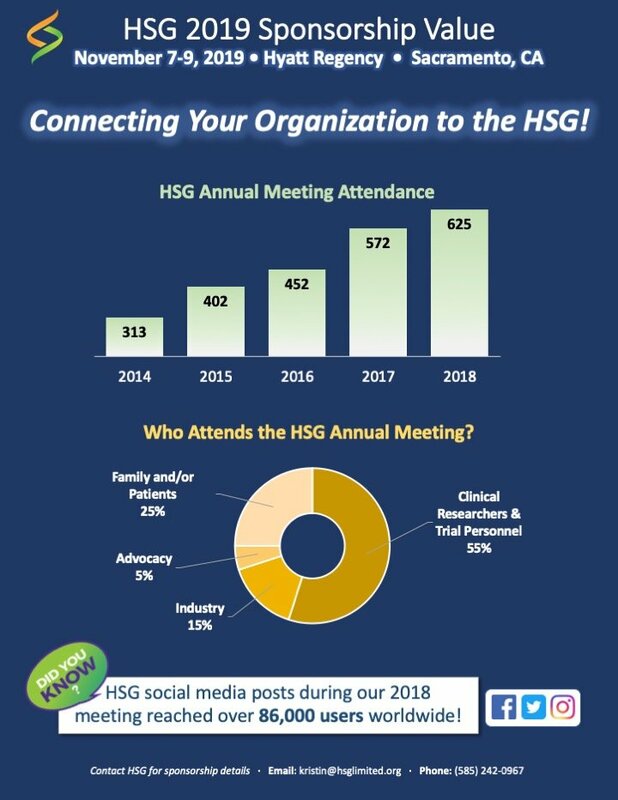 Consider partnering with HSG as an active and engaged sponsor of our annual event to take advantage of these exciting opportunities.